"Often, when I am able to check out a book, I read it a dozen times before returning it, desperate to remain lost in the magic of someone else's story." I kept passing over this book because I thought it was going to be another sub par dystopian novel. I was so wrong! And I'm glad I was. It does have the same dystopian backstory: a catastrophic event, in this case nuclear war, destroys the world and leaves very few people who have to figure out how to survive. After the war there was a disagreement between the Lattimer and the Westfall families about how to run things in this new world and the two went head to head. The Lattimer's defeated the Westfall's. To maintain the peace the Westfall daughters are married off to the Lattimer sons and vice versa. This year it is Ivy Westfall's turn to marry Bishop Lattimer, the President's son. Ivy's father is tired of being on the losing side and wants to take over control of the city. He, along with her sister Callie, have been training Ivy to kill Bishop so that the Westfall's can take over. Ivy tries so hard to hate Bishop. She really does. It would have been easier if he was the cruel, power hungry boy she expected. But he is the opposite. He is so kind and generous and really wants to make their marriage work. They fall in love very slowly and it makes Ivy's decision that much harder. She is torn between the loyalty to her family and the boy she loves. I wasn't surprised by Ivy's decision in the end, but I was taken back by everyone's reactions to it. It shows that sometimes the people you trust the most, hurt you the worst. 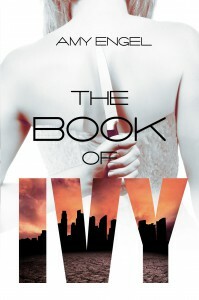 I absolutely loved this book and can't wait to read the next one, The Revolution of Ivy.